The communities in which I work and live are overwhelmingly engulfed in poverty; hyper criminalization of Black and Brown bodies and, consequently, gross disenfranchisement; a high saturation of unhealthful junk and fried “food” chemicals and a lack of accessible good food options for our families; some of the highest homeless and unemployment rates of all time; and a deficit of community-owned wealth or resources. In other words, the system as we know it is not working for our people. When those who are exploited, on the margins, or suffering from the heinous violations of basic human rights mentioned above, can find ways to garner collective power and actually create means to control food, housing and opportunities for work, I get excited. When people can create space to think of new ways of being, dreaming, and co-existing with each other and the planet, I get excited. When communities who have been massively disempowered can challenge ourselves and our culture to think deeper about true liberation—about shifting values, reconsidering our consumption habits, and truly thinking about ways to consider the needs of the collective community and sustainability of the planet—I get excited. And that is why I’m excited about the Jackson Rising: New Economies Conference. I should note, even before the announcement of this conference, Jackson, Mississippi had been on my heart and mind for quite some time. Jackson, a majority black city, has a rich history of resistance and is the hub of so much from the civil rights movement. Additionally, the People’s Movement won a major victory last year—the election of activist, revolutionary, Mayor Chokwe Lumumba who was instrumental in the Malcolm X Grassroots Movement, Republic of New Afrika, National Conference of Black Lawyers and so many other revolutionary organizations. Mayor Chokwe was elected with 87% of votes in Jackson, MS via a genuine grassroots campaign engaged in participatory democracy. It was truly a People’s victory. To the devastation of so many, Mayor Lumumba died in February of this year due to causes still yet to be determined. While his son, Chokwe Antar Lumumba, is moving forward with the vision from his father’s campaign and is currently running for mayor, the organizers of the Jackson Rising Conference also have continued the important work of realizing a vision for a solidarity economy in Jackson. 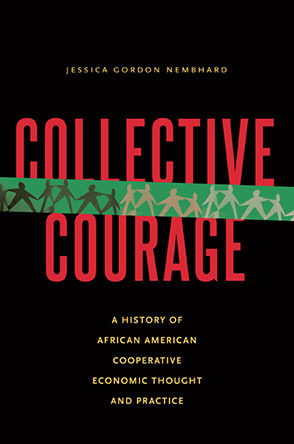 According to Cooperation Jackson, a network working to advance economic democracy in Jackson, a solidarity economy includes a wide array of economic practices and initiatives that share common values of cooperation and sharing, social responsibility, sustainability, equity and justice: “Instead of enforcing a culture of cutthroat competition, it builds cultures and communities of cooperation.” In short, a solidarity economy encapsulates everything from cooperatives to time banking, alternative lending, and alternative currencies. Dara Cooper: What is the Jackson Rising Conference? How did it come about and what is it meant to achieve? Kali Akuno: The Jackson Rising: New Economies Conference is ultimately about building a new economy, a democratic economy, based on principles of solidarity, sharing, and sustainability – putting people and the environment over profits. It is about making some strides towards this end on a municipal level, where social movements can have an immediate and long term impact when there are radical forces in government to collaborate with. Building the capacity of the working class communities to act on their own behalf and in their own interest to develop cooperative enterprises is our primary goal. We aim to accomplish this with a lot of “Coop 101” and “How to Start a Cooperative” trainings, and to follow up after the conference with ongoing trainings and start up initiatives facilitated by Cooperation Jackson, which is an emerging cooperative in Jackson. The conference is actually years in the making. It was envisioned as part of the Jackson – Kush Plan developed by the New Afrikan People’s Organization, the Malcolm X Grassroots Movement, and the People’s Assembly going back to 2009, after Chokwe Lumumba was elected to the Jackson City Council. It became more concrete in April 2012 as a result of a training I did as a staff member of the U.S. Human Rights Network that focused on the Dr. King’s legacy of struggling for economic, social, and cultural rights (ESCR). Ed Whitfield of the Fund for Democratic Communities and Elandria Williams of the Highlander Research and Education Center, who both presented at this training, agreed that it was critical that we move something forward to accomplish this end in either 2013 or 2014. The conference wasn’t held in 2013 to give focus to Chokwe Lumumba’s run for Mayor. After Chokwe won in June of 2013, we put the conference back on the agenda, and here we are. DC: Why the focus on solidarity economics and cooperative economics? KA: We have to change the way we extract the resources we consume to survive, how we produce what we need to survive, how we distribute these products, because the eco-systems that sustain human and complex life on our planet can’t take another 100 years of capitalism. Cooperative enterprises, at their best, teach us how to work democratically and how to consume more rationally and sustainably to fulfill our needs. The pursuit of solidarity will help us change our value system relative to how we act towards each other and towards mother earth. But, it’s a long-term struggle, because we don’t really know how to do either of these well on a broad scale yet. Cooperative economies can help us transition from our present state of crisis to more balanced states of production that will ensure that our grandchildren and our species survive. DC: On the Jackson Rising website it says: “We aim to expand the discussion about alternative economic models and systems and to confront the harsh economic realities confronting low-income and impoverished communities.” What do you mean by alternative economics and what do you envision happening as a result of introducing (or reinforcing) this concept? KA: We mean alternatives to capitalism, plain and simple. We anticipate some resistance from the more conservative forces in the state of Mississippi for sure. But, we also anticipate a lot of questions from the working class communities of Jackson, who have a genuine desire for something different, but have no experience with it. So, what we envision happening is folks becoming more interested and willing to engage in initiatives and practices to create viable alternatives in our own communities. DC: How did you get involved in this? KA: I’m a child of the Black Liberation Movement, in all its glories and faults. So, I’ve been exposed to these ideas and to initiatives to carry them out all of my life. For me this is trying to fulfill an aspect of the vision of liberation and human fulfillment that my ancestors and elders laid down for me. I’m struggling to play my part, make my contributions, and pass the torch on as it was passed to me. My goal is to leave the world a little bit better than I found it for my kids and future generations. DC: What do you hope will be accomplished as a result of the conference? What’s next? KA: Two things. One, I think a lot more Jacksonians will be educated about what cooperatives are and what they can do to help change conditions in our community. Two, I think a broader network of national and international allies will be created to help advance the vision of building a solidarity economy in Jackson. As for what’s next, the critical follow-through initiatives of the conference are going to be carried out by an initiative called “Cooperation Jackson.” Cooperation Jackson is being developed by many of the organizers of the Jackson Rising Conference, who have been deeply moved by the vision around solidarity economics in the Jackson-Kush Plan, and want to see its vision of economic democracy realized. The broad mission of Cooperation Jackson is to advance economic democracy in Jackson, Mississippi by building a solidarity economy anchored by a network of cooperatives including worker owned and democratically self-managed enterprises. The vision of Cooperation Jackson is to function as a network of four interconnected and interdependent institutions: a federation of emerging local worker cooperatives, a cooperative incubator, a cooperative education and training center, and a cooperative bank. If successful, Cooperation Jackson will represent a breakthrough for the Cooperative Movement in the South, as the first major network of predominately worker cooperatives to be established in an urban area in the region. While it will undoubtedly take years, if not decades, for Cooperation Jackson to consolidate itself and grow to scale, in alliance with the predominantly rural cooperatives of the Mississippi Association of Cooperatives (MAC) and the Federation of Southern Cooperatives, it possess the potential of becoming the Mondragon or Emilia-Romagna of the United States. KA: Working people are hungry for change, and as the late Mayor Chokwe Lumumba said in one of his last statements, “we believe we are the right people, in the right place, at the right time” to make some significant contributions. Only time will tell what our efforts will produce, but we sure as hell are going to make a strong effort to make the future we envision. Kali Akuno is an organizer with the Malcolm X Grassroots Movement, educator, and writer.